Over the past two years and 10 months, Ganked has gone from strength to strength. We have progressed from a gaggle of drunken fools with a shared taste in hulls liberally covered in sensor boosters, to an organised group of drunken fools with a shared taste in hulls that actually work. Since July 2011 we have run over 120 roams (numbered and special events) scoring over a trillion isk in damage spread over some 13,500 kills, thats more than some corporations make in their entire lifetime! Much of this success has been down to all of you. The guys that come along week in, week out, or just fly when the theme is one you like the sound of. That so many you are willing to take part in the NPSI experiment, often flying ships considered expensive for such fleets, or in themes & doctrines that do not look they will work but that work anyway, is what keeps me FCing you all as often as I do and keeps me focused on making the NPSI scene in EVE, the best it can be. However, it is not just you guys who have made the past 34 months some of the best times of my EVE career so far, but the many guest FC’s we have had along the way and I urge you as we push on into our third year of operation, to get your favourite guest FCs to step to the plate and take you all out to play. And if you know of anyone else who would be willing to guest for us, then get them to get in touch. Let all FC wannabe’s – existing guests or otherwise – know to check out our public schedule for Saturdays that they can do, and to let me know so I can get details from them for the roam they want to run. Ganked 84 & 85 both happened this past weekend and they were pretty good roams when all is said & done. Rebbeca Neresh broke his Ganked FC cherry with a Thorax hull roam for Ganked 84. He took us over to Barlegeut to see Brave Newbies, along the way we steam rolled a gang lead by fellow CSM 8 delegate, Chitsa Jason. Was a fun, if intensely tidi’d fight. And I lived – surprising as I was in a Deimos (Rail Shield Kitey fit, but still…). BNI played a little – there was way more than that shows, but 1 we fail at points, 2 they got scared by Green suddenly appearing inside of warp range near them – but we did not hang around there too much. Syndicate was pretty quiet, except for PF, were we scored this Proteus kill, thanks to the pilot being dumb. Rest of the night was a quick stumble around Black Rise, with an eventual whelp into a Snuff gang, that could have been much different if people had been listening correctly. Sunday came round and I took us out on Ganked 85, and to my huge surprise Geminate was damn busy! Makes sense I suppose when its ruskies who live there and Sunday afternoon is their prime. We killed a shiny in one system, then suddenly next door as we started free burning somewhere we run into an organised frig/cruiser gang that pretty much rolls us as we were split up, not really focused and what not. It happens. We went out again and ran into another large gang, a gang that felt the need to bring in twice our numbers via cyno & phone a friend or two. Oh well. Still at least I learned that Geminate is a fun place to go at the right time of day. Spots: Comet x5 – Bogdan Yassavi, Verse Askold, DocFloyd, Abriel Claire, Morgan Zarkov – You guys won for them final blows on certain kills or highest damage on those same kills. Spots: Fleet scythe x4 – Billius Zabub, tgl3, quinten sarn, bridg – You chaps won prizes for either avoiding church to fly with us, hero tackles or top damage on kills. On the 29th June, the 74th numbered Ganked roam went out to play. It was lead by top scout & regular Guest FC: Green Gambit, as I would only be able to make it later due to taking part in a Space hangout with Ali Aras – a fellow CSM delegate. The time I spent with the roam was really great fun, a couple of good fights were had with the Providence holders and their friends. Fleet forms up in the regular favourite of Rens, although we don’t see any of the usual docking games. Departing a minute or two past 20:00 the fleet makes best-speed to Irshah where we meet up with the flashies in fleet. Now at full-numbers the 130-strong fleet heads one-jump out into Asabona when we’re informed of a small BC fleet, one jump back in Gomati. We run back to find that they’ve left local, and we have no clue which way they went. We turn around again and head into Curse. Entry into Curse is quiet so we start heading along the pipe to VOL-MI. Forward scouts call a small gate-camp in CL-85V, so the fleet burns to try and catch something only for the scout to report the camp fleeing, as soon as we start hitting K-Q. Fortunately a Cynabal lands on the CL-85V gate in K-Q at the same time of the fleet, is forced to jump and dies in CL-85. We move on through Curse looping around through XX9 finding people in local, but space quiet. We arrive in H-A and as we’re warping towards the S-E gate, a gang on a gate in EQX is spotted, again the fleet makes haste over, but again the gang flees to station before we arrive. We turn around and head back towards VOL-MI cutting through Scalding Pass. Local009 spots another small gang in VOL-MI heading into ARG. We wait in R-3 hoping to catch them as they come through – however they must have scouted us as they flee, leaving us just with a solitary Stabber to kill. We get intel on a relatively large Cruiser+BC gang in Providence, so head out of empty Curse and cut through Catch into Providence. Our scouts find them in T-RPFU setup at zero on the gate. This being Ganked, we jump in and open fire. We have slightly more numbers, but they have more BCs whereas we’re mostly cruisers. Add to them a dozen Scythes and they clearly have the upper-hand, but it’s a nice little brawl and we cut through most of the Scythes and net 28 kills overall. Having finished his CSM business, Mangala joined us for round two, and the fleet reformed in Rens. We set off again around 22:45 heading back towards Providence but skirting through a little low-sec first. 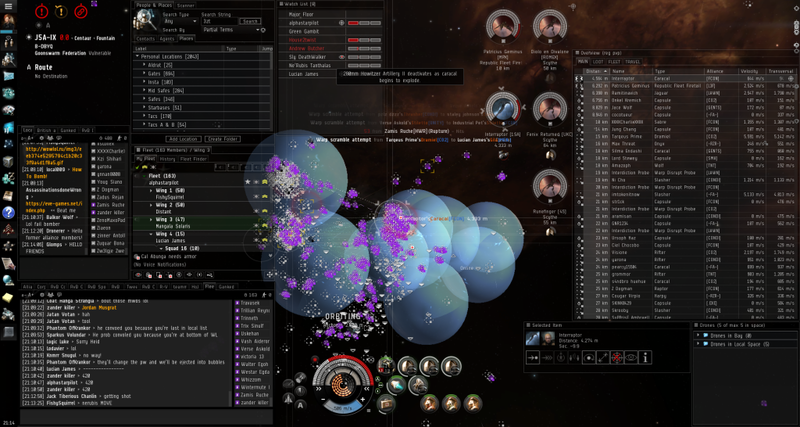 The fleet kills a random punisher on a gate in low-sec only to discover from the killmail it’s worth 92m ISK! But aside from occasional ships on gates this part of low-sec is quiet, so we soon find ourselves back in Providence. We wander around Providence mostly missing small things on gates until local009 calls a small gang with Harby and Drake on the D61 gate in Y-MP. We send forward a couple more ceptors to tackle, and the two BCs are pointed. Fleet jumps in and kills both, along with 6 other ships from the gang. This seems to have turned around our luck as we then snag a few things on gates including a Raptor that thinks he can escape by burning away at 3km/s. However our tackle has him locked down and eventually he dies along with his pod. Unusually though Providence is quiet of ratter and miners. We head further around Providence and venture into VKI then H-G. It’s quiet so we turn around to start moving round towards LF-2. There’s a little confusion about the location of fleet and scouts, and we’re told about a medium-sized gang – just as we jump into it in 3GX. Finding them set up, and ourselves outnumbered, we burn back to the gate and jump back into VKI – we lose a few ships, but most of the fleet make it back. The scouts still in 3GX inform the Provi-defence fleet, that we’ll stand and fight but only if they jump into us. After a small delay they oblige and local spikes. A rupture is the first thing to decloak and dies almost instantly. We’re shooting other targets when Mang points out their Basilisks have decloaked right in the middle of us, so we switch targets. It takes us a minute to grind through the reps but they both die. We’re now starting to fall fast, but manage to pick-off a couple more ships before we’re done. Another decent fight, whelp two over and time for bed! Local009 for scouting and stepping up to target-call when needed. This past weekend, Ganked 73 was Guest FC’d by our dear friend and ender of evenings, Alphastarpilot, formerly of Thorn Syndicate, currently flying for Test Alliance. Alpha’s chosen setup was T1 armour cruisers supported by logistics and ewar. Yes you read that right, logistics. And boy did we ever get some logistics. We had over 35 logistics in fleet with us for this roam, together with some 20 damp boats and assorted other ewar platforms, and around 100 guys flying T1 ARMOUR HACS (this video never gets old). We soon reached B-D however CFC where slowly returning to the system after trying to kill a titan elsewhere, and so we moved into J5A-IX and waited. Just as we were getting ready to warp to a pos to bump a carrier out, LOCAL SPIKE! And it was on. DPS & Ewar had anchored on the FC, our logis were anchored on an anchor of their own and the CFC had brought tacklers, HAM caracals & scythes. Their tackle started melting, bubblers exploded – in one case he came right back and exploded again – T3 snipers jumped in and died, however our logi anchor got caught by lag and fought hard to recover just as the CFC fleet started heading their way… That didn’t stop our logi though, no sir! They kept the reps coming as long as they could until they were overwhelmed, then the rest of us started to really feel the pain of fighting the numbers of the CFC next door to their staging system! 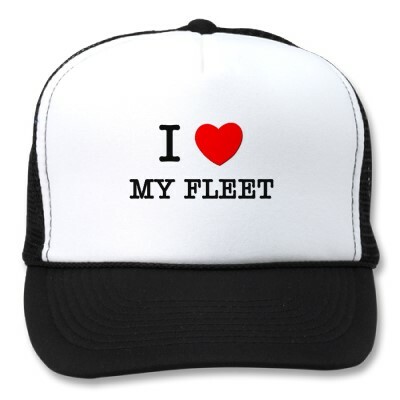 And through it all fleet was damn well behaved! By the end of it a couple of hundred ships had been destroyed between both sides. Our view & EVE-kills view – I tried to BRDoc it, but it breaks the site while I still have a third of the corps left to assign. Following a short break we reshipped into talwars, and headed back to the area, running over this stupid tengu as we did so. The next hour and a half was some of the most fun I have had for a while, Alpha really showed off how well talwars can work to the fleet, and I picked up a few tricks for use with them too. The “doctrine” itself punches massively above its weight, especially on this proteus! During our time in B-D with these ships we got some 90 kills or so and had a riot doing it. Here is EVE-kill for that time as the Ganked killboard splits the battle into too little a timeframe for me to link properly. All in all a really fun night was had, over 200 kills done, nearly 11 Billion isk exploded and a new guest FC inducted into our ranks! Personally, I and many others had some misgivings about Alpha FCing the roam, as we assumed that it was all a cunning plan to tarp us and ruin our fun, however this was not the case and I for one am happy to put my hands up and admit I was very much surprised! As usual this RvB Ganked roam was sponsored by Somer Blink – who are also sponsoring the RvB AT XI team this year – and several people won sponsored prizes during the roam. These will be contracted to you by a representative of Somer Blink within the week. Congratulations to you all! Another week, another RvB Ganked roam. And as with several during November & early December, a Guest FC was in attendance allowing me to be “just a guy” along for the ride. This week it was Roigon, from Agony Unleashed. And here are his words on the evening, although I am pretty sure he glosses over just how drunk he got as the night progressed! “As this was my first time FC’ing a largely uncoordinated ball of death and destruction known lovingly as RvB Ganked, I opted for the safety of frigates. I know frigates, I like frigates, also frigates warp pretty fast when mistakes inevitably get made. The fleet headed out at around 21:00, moving towards Oddelulf to pick up our blinkies. Unfortunately because of faction war I – the FC – had to do some buggery (Mangs note: OO’ER) to get out of the station safely, since certain Minmatar FW members had noticed that I was a war target to them, and were convinced it was a good idea to try and kill me. Luckily Geddonz, who is also a Minmatar FW member, decided to betray his faction and provide me with an impromptu undock bookmark. Free from the shackles of these slaves (lol RP), the roam was on. While quickly catching up to the fleet that was waiting for their not so glorious leader, I once again made sure everyone understood that while I am in Agony, I was also slightly intoxicated (Mangs note: This became a bit of theme on the night) and this will just be Ganked as normal. This was met with horrible puns on my corp name and a count every time I mentioned beer. The tone was set. For the first leg of the journey through nullsec we would be heading into the Great Wildlands, a place known for being devoid of activity and I was pretty much convinced we would just trail blaze our way through it and just leave dust and space debris and fallen of bits of Minmatar ship behind. As we went into NIH-02 one of my scouts reported a pilgrim on grid with him that appeared to be off gate and not doing all that much. Then he called point. Cue mad dash to UNJ-GX to gank ourselves a recon. Meanwhile another scout in M-MD has been giving intel about some ships playing on the undock, among them a Machariel which was getting further and further from station. So after the gang successfully reduced the pilgrim to a smouldering cloud of gold plated space dust we went back to NIH and sit on the M-M gate for our scouts to report the ever so pleasing “point mach”. When it came, we piled in and warped to the cloaky who had gone for a hero tackle on the Machariel. His cov-ops had to die for this, but to exchange a 30M cov-ops for a 1.3B Machariel isn’t a shabby trade at all. With the jubilation of the Machariel kill we sat on station for a bit for people to repair and potentially get a replacement ship, and we headed out again. As we sat on the E02 gate in M-M a rapier was reported coming our way. Warnings were given that this particular player liked to be bait for a bomber gang. These warnings fell on deaf ears as “point” was reported on the rapier in E02 and we started piling in. The rapier however was trying to make a break for the gate, So I ordered my merry band to crash the gate as well in hopes of catching him on the other side. At that point multiple bombers decloaked and dropped their bombs. “Keep crashing the gate”. A technique not only helpful for catching ships but also for avoiding bombs. I am sure some aggressed members of our fleet had to give their lives to the bombs at that point, however a fair portion of our fleet made it back into M-M and as I told people to spread out the rapier uncloaked and cloaked again. He was in a bubble however, so he wouldn’t be warping away, so I called to burn at him. Seconds later someone successfully decloaked him and we burned him down. Our comrades avenged and another juicy recon down. Somewhere around this time we also killed a badger. Or so the killboard tells me. I remember nothing. Because we took some losses we decided to dock up again in E02 and have a 5 minute break for people to reship and what not. There was some tomfoolery on the undock, as well as another bombing run, but not much came from it. After the break we sped on towards Curse. Our goal was to get to Doril to rendezvous with some RvB members that had attended the Agony PVP-U PVP-basics class and would be getting out of class at around 23:00 and would be escorted by Greygal to Doril to meet up. On our way down to Doril we managed to kill a coercer, chased around some cynabal’s but unfortunately but not unexpected failed at catching them, then eventually made our way to doril. Scouts reported a small camp on the sendaya gate in Doril. A perfect party to crash. A cynabal vexor and drake. I didn’t think we would actually manage to get the cynabal, but our scouts came through and we managed to kill them all, including the cynabal. For the second leg of the journey I had planned to go into Solar Fleet space, wanting to get away from the now quickly becoming default destination of CVA space and ending up in HED-GP. Unfortunately in my cunning plan to be original I had failed to grasp that Solar Fleet is Russian & it was way past their bedtime. Along the way we managed to gank some ships here and there, we even stumbled into a machariel fleet but were unable to get the drop of them despite good effort from our scouts. As it was getting a tad late and the fleet started bleeding members. I caved and decided to burn for HED-GP, in the hopes TEST could give us the fight we wanted. During the trip to HED we managed to again kill some ships on the way, but once we got to HED the response was lackluster. We managed to stop a rokh and kill a maelstrom that were being bads on the kerbs gate, but however much we poked and prodded TEST they were unwilling to budge. Eventually I simply called the roam. With no one left to fight us it was becoming pointless to stay. As such I have failed, for most of you lived. Even the Armageddon that was cleverly disguised as a frigate survived. Perhaps someday we will do this again, and on that day I will promise you death, and potentially some glory. Mangs Note: All in all an enjoyable night, even if the people of null sec are yet again proving themselves worthless and yellow.